Change the things you can, accept the things you can’t. There are any number of things in today’s society that could make someone anxious — the economy, North Korea’s nuclear capability, the ever present threat of people texting while driving. More than we’d like to admit, the cause of our anxieties are beyond our control. When does anxiety become more than a natural reaction to common stressors; when should you seek help? Normal levels of anxiety are hardwired into our brains. We evolved with a ‘fight or flight’ reflex that allowed our less civilized selves to respond to situations of duress where we might not otherwise be operating at one hundred percent. Modern day stresses can sometimes be helped by this same response; keeping your focus during a particularly rough traffic jam, getting you psyched up before an important presentation at work, or motivating you to make sure the house is extra-clean before the in- laws arrive. In some cases, we can find it hard to stop our brain when it responds to situations that are decidedly less than an emergency. You can find yourself over-anxious in the face of a threat that might not be that serious. As your brain and your body becomes used to operating in that state, even the most irrational worries can trigger that response, and you can find yourself at a constant state of alert. Prolonged periods of uncontrollable anxiety can have adverse effects on both the body and the mind, wearing you down physically and causing you to doubt yourself and those around you. Coping with anxiety isn’t just about keeping you from suffering from those draining emotional responses, it is about helping you understand what situations in your life are worth truly worrying about. Breathe slowly out trough your nose, then breathe in slowly through your nose and hold your breath. After a five count, exhale slowly through your mouth. Each breath this way helps reduce heart rate and has a sympathetic calming effect just through the focus it takes to do the steps. As silly as it sounds, make a mental note of two or three positive phrases, and when you feel anxiety coming on simply repeat them to yourself. You can say them out loud or in your head, just focusing on something positive will help alleviate your symptoms before they get too severe. Let’s be honest, a lot of the things we stress over on a day to day basis are not worth stressing over. Sometimes it helps to sit down and talk to someone about what is bothering you, and working together to find out what you can do about it. Sometimes it helps to focus on the goal, and not what is stopping you from achieving it. In either case, making an effort is the best way to move forward. If you are constantly feeling overwhelmed and you are experiencing physical distress, seeing a therapist could be the answer you’re looking for. If talking it out alone doesn’t help, they can provide referrals to physicians who can suggest medication that may help you to start coping in a way that works for you. Don’t let how you feel control how you live — choose to focus on moving forward with your anxiety in a way that helps you control it. 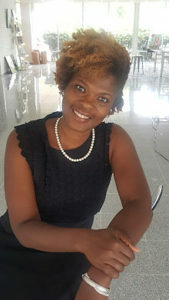 If you are seeking therapy or counseling in the Peachtree, GA area, contact counselor Rosonja Seay for a free initial phone consult at 678-552-2689.